Meet Published Author (and Coder), Fatima! For Actress Gabriella, Coding Is Like Directing! Organizations like Girls Who Code and Million Women Mentors have a very specific purpose: to encourage young girls to study computer science and increase the number of women in STEM careers. This is a movement in response to the fact that science and computer engineering are traditionally male-dominated fields, creating a problem of gender imbalance and inequality. Programs like Tynker are important because they can reach girls as early as elementary school, encouraging them to code by making it fun and accessible and boosting their confidence. This is where reversing the gender imbalance begins. It also begins when girls are presented with role models and get used to the idea that women belong in the tech field. Because young girls aren’t used to seeing female computer programmers, they may lose interest in math and computers at a young age, and they’re less likely to become computer programmers. But it wasn’t always that way — when the first computers were being built and programmed, women were behind much of it. 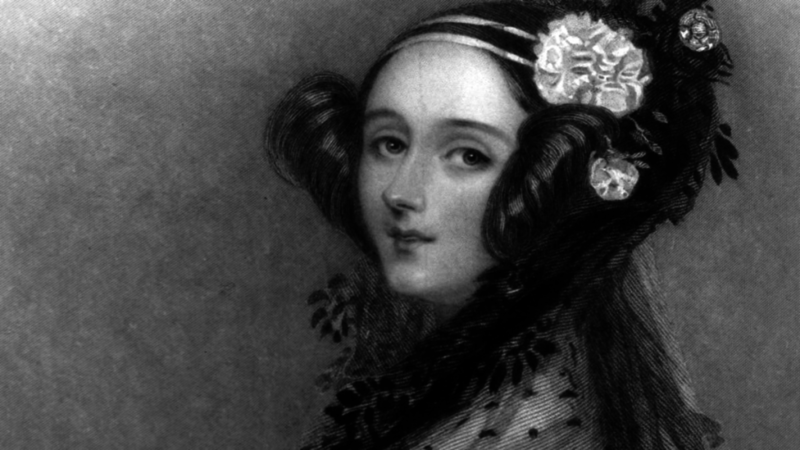 Ada Lovelace was born in 1815, the daughter of famous poet Lord Byron. From an early age, Lovelace showed a gift for mathematics that developed into a passion as she grew older, thanks to extensive math and science tutoring encouraged by her mother. At the age of 17, she met her mentor, Charles Babbage, who is now known as the father of the computer. While Lovelace was translating Babbage’s paper on a new machine that could perform and analyze math calculations (the Analytical Engine, one of the first computers), Lovelace supplemented the paper with pages of notes sketching out computer programs for the machine. A century later, Babbage’s and Lovelace’s work would be fundamental in building the first computer. 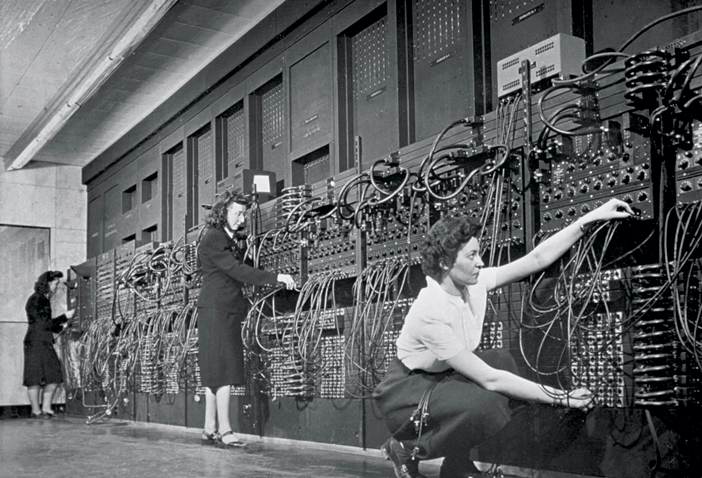 During World War II, the U.S. Army recruited six women to build the first electronic programmable computer, the Electronic Numerical Integrator and Computer (ENIAC). Jean Jennings Bartik, Marlyn Wescoff Meltzer, Ruth Lichterman Teitelbaum, Betty Snyder Holberton, Frances Bilas Spence, and Kay Mauchly Antonelli were the six programmers known as the “ENIAC girls.” With limited information about the machine and no programming languages whatsoever, the women had the task of hand-wiring the ENIAC and programming it to solve differential calculus equations that were used to target ballistic missiles. They completed their work in 1946, though the women did not receive mainstream recognition until about 70 years later, when their story served as inspiration for a book and documentary by Kathy Kleiman. 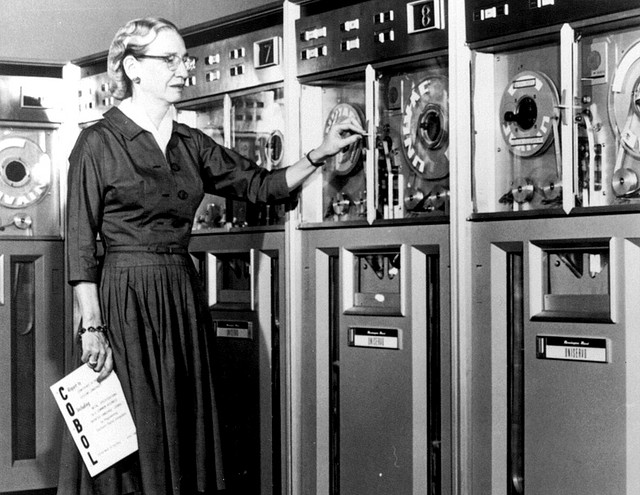 Another remarkable woman who made extraordinary contributions to computer science during WWII was Grace Hopper. When Hopper joined the U.S. Navy in 1943, she already had a Ph.D in mathematics from Yale. She worked under a Navy contract as a research fellow at Harvard, programming the Mark I, Mark II, and Mark III computers. After the war, she continued to work tirelessly, serving as a senior mathematician at the Eckert-Mauchly Computer Corporation and helping to develop the U.S.’s second commercial computer, the UNIVAC, as well as creating a compiler for it. Adamant that it was possible for computers to understand English and not just arithmetic, Hopper was central in the invention of the programming language COBOL (Common Business-Oriented Language) in 1959, a language still in use in software today. Now, the world looks different than it did back then. The reality in most schools today is that as a student moves higher and higher through the grade levels, higher level humanities — English, history, social studies — are female-dominated, while higher level math and computer science classes are usually filled with boys. Tynker bridges the right-brain/left-brain divide with lessons that combine games and creative storytelling with computational thinking, and, as a result, both boys and girls become well-rounded thinkers as well as coders. By getting young girls excited about coding, we can reverse the trend. It begins when girls can envision themselves in the tech fields as professionals, innovators and, of course, as leaders.